Preheat oven to 450° F. In a medium bowl, combine cream cheese and mayo until smooth. Add spinach, lemon juice, Worcestershire sauce, scallion and black pepper, and mix until combined. Gently fold in crabmeat. 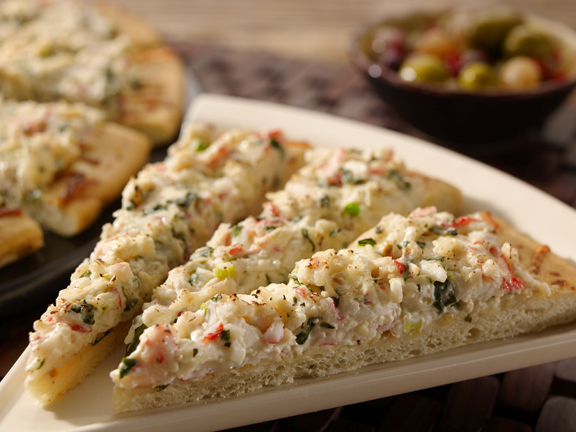 Spread crab mixture onto crust, leaving a 1" border around the outside. Top pizza with the Parmesan cheese and bake for 10 – 12 minutes until golden and bubbly. Let stand for 2 – 3 minutes before slicing.